Daggerwind endless terrain, seamless world without bounds which will one of the cornerstones in my quest to create an Elder Scrolls style indie RPG . 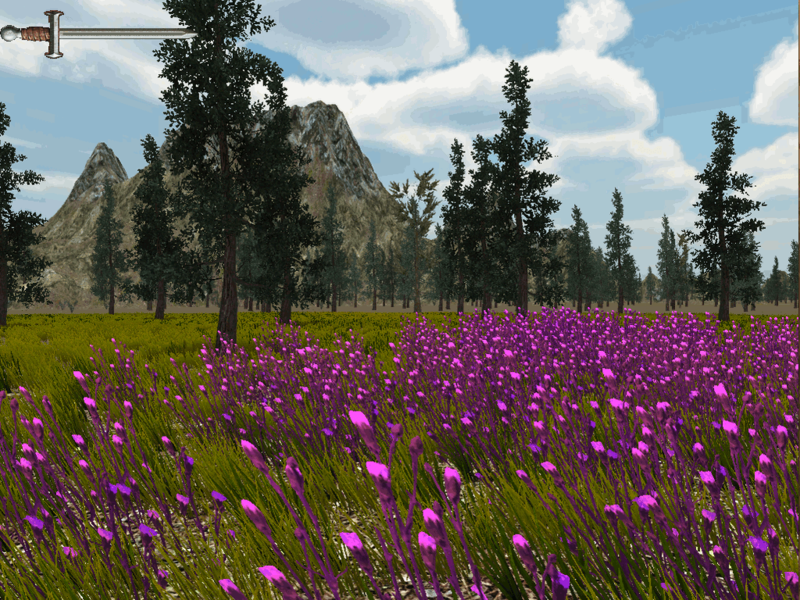 The terrain is generated from a World Manager that creates a 1024 x 1024 array of 1024 x 1024 terrain tiles. The tiles are selected from a set based on a seed passed into a random number generator. This creates a seemingly random world, but will be exactly the same every time (So long as the seed is the same) This allows for persistence. I guess technically it's not endless, but just very, very big. Only a 3 x 3 grid around the player is rendered at anyone time, adding and removing tiles as you move around the game world. Cities and Towns are walled as in Elder Scrolls Arena and Daggerfall allowing me to swap scenes entering and exiting. The load time is pretty quick each way, and with the scene fading in and out isn't that obvious or intrusive. I will be able to create custom terrain tiles with small Farms, homesteads or village huts so that it feels more natural and seamless. The Procedural terrain starts as a randomly created heightmap, black being low and white the high areas. I then make them seamless by copying the original heightmap, rotating it 90 degrees and moving it adjacent. Then repeat 3 more times by copying and rotating using Gimp. Pretty low tech but no other tool needed. I've also got a scrollable/drag-able over world map that is stitched together using 36 1024 textures (6 x 6 grid) Have yet to make it interactive with click-able pins and stuff but is a good start.